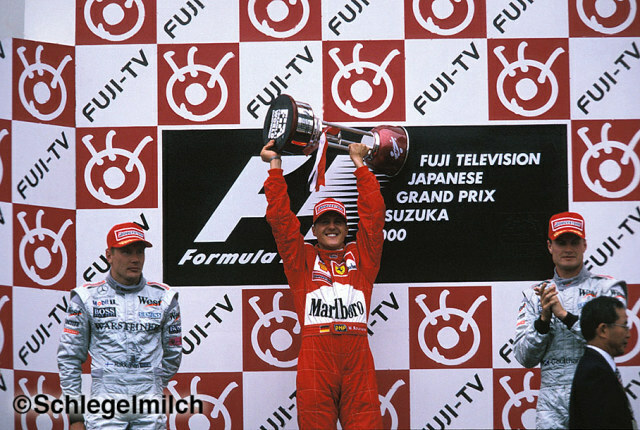 After a superb victory in difficult dry and damp conditions at Suzuka, Michael clinched his third F1 Driver’s World Championship Title. This broke his dry spell since 1995, when he beat (the by 2000 retired!) Damon Hill, to take his second with Benetton. 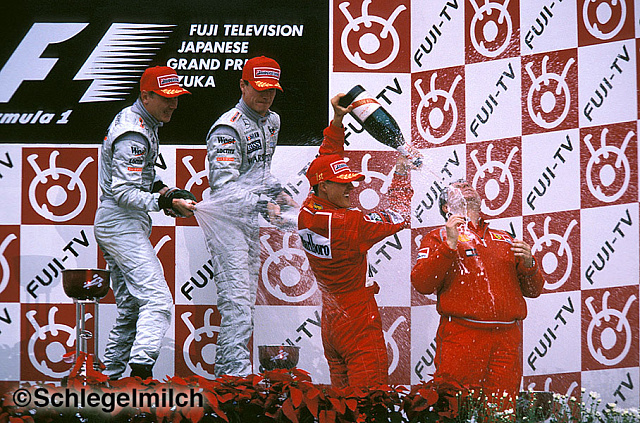 Schuey had tried to block Mika Hakkinen off the start line with his trademark “Schuey chop”, but to no avail as Hakkinen squeezed through from 2nd on the grid to lead. After the race Hakkinen explained he had no hard feelings about the swerve. On a final closing note, it seems Michael is to be paid even more in the future! German publication Morgenpost of Hamburg, reported that Schuey’s third World Championship meant he could expect around DM30 million ($13.4 million) extra each year. Along with sponsorship and merchandising this was expected to lead to annual income of around DM145 Million in 2001. 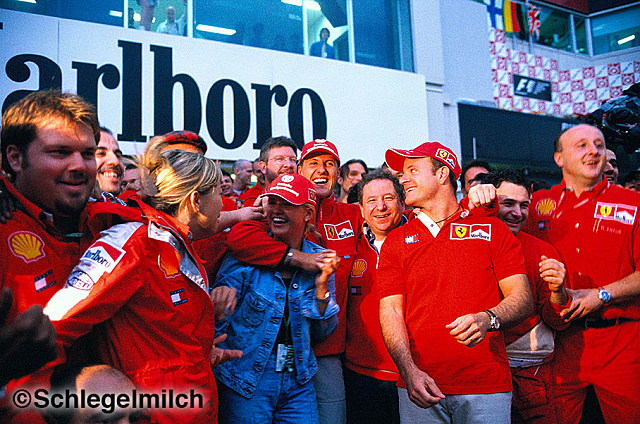 Schuey won Ferrari’s home GP at Monza in 2000! Schuey won the 2003 World Championship!